Here at Bloxham it's a beautiful day, a wonderful sunny day, happy smiling faces and already the day is off to a great start. 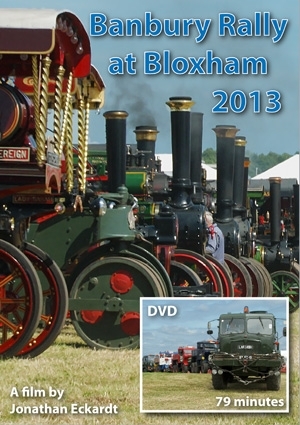 This is Bloxham at its best, The Banbury Steam Society's Annual Event. A wide selection of exhibits with something for everyone and the largest arena (for the Truck Pull !) of almost any show in the Midlands. Full size and miniature steam, it's all here for you, across the whole scope of preserved transport, something that all the whole family can relate to, a great day out for everyone. Including; a large full size and miniature steam section, cars, bicycles, commercials, motorcycles, tractors, stationary engines etc, and a very impressive Military Pulling display.